Premiering December 3 on HBO, Say Her Name: The Life and Death of Sandra Bland, from Kate Davis and David Heilbronner, explores the death of Sandra Bland, a politically active 28-year-old African American who, after being arrested for a traffic violation in a small Texas town, was found hanging in her jail cell three days later. Dashcam footage revealing her arrest went viral, leading to national protests. 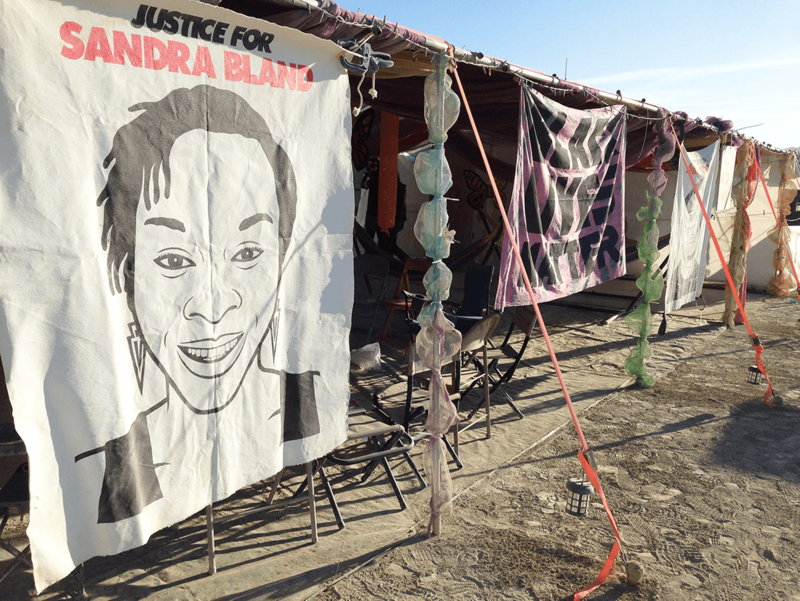 The film team followed the two-year case beginning shortly after Bland's death, exploring the questions of what really happened to her, and what we may learn from her tragedy. Wim Wenders’ Pina captures the stunningly inventive world of the late German choreographer Pina Bausch. After her passing, Wenders worked with the dancers of Bausch’s remarkable ensemble, both in the theater and in the streets of her hometown of Wuppertal, to create this documentary profile that matches its subject’s artistry and verve. Pina is now streaming on Mubi. As part of DAfilms.com’s retrospective on the masterful documentarian Wang Bing, West of the Tracks, a nine-hour, three-episode saga, tells the story of an economic collapse in Tiexi Qu, formerly a major industrial region in the north-east of China. Filming over several years, Bing documented the everyday lives of residents whose livelihoods were cut short and who were left with no prospects for the future. Streaming on Netflix beginning December 3, Blue Planet II, the sequel to the award-winning nature series from BBC Earth, dives beneath our planet’s oceans to reveal the dazzling vistas and amazing creatures there. The indefatigable Sir David Attenborough is your guide. Available December 4 on Blu-ray through Kino-Lorber, The Atomic Café, the classic 1982 doc from Kevin Rafferty, Jayne Loader and Pierce Rafferty, takes viewers back to the heady days of the Cold War era, through a wild assemblage of government-produced educational and training films, newsreels and commercials. Want to know how US citizens were advised to survive in the Atomic Age? This film, newly restored in 4K digital format, might give you a clue.